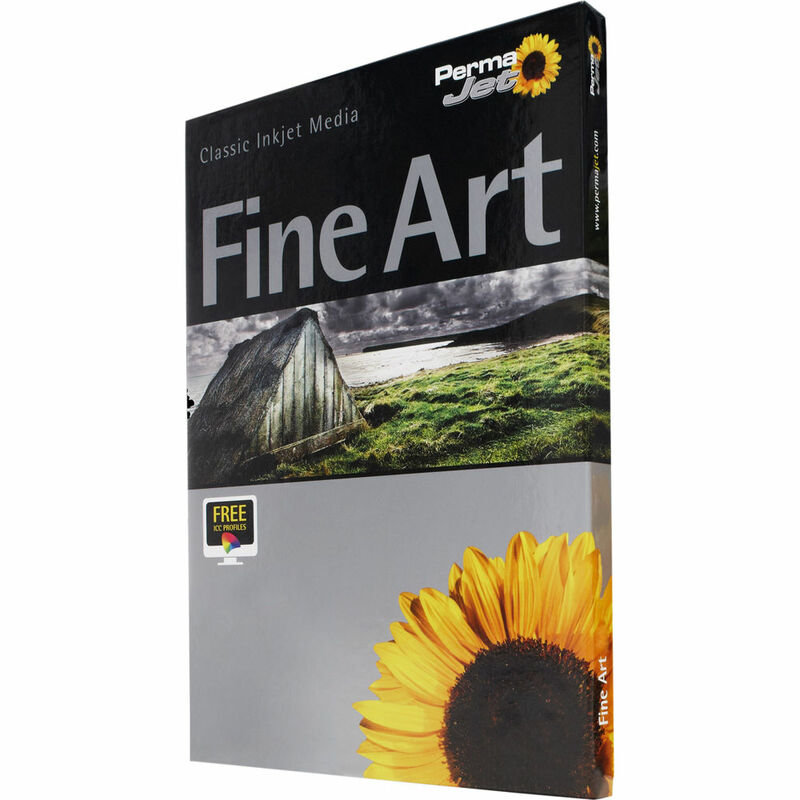 Available here as a 25-pack of A3 sheets, PermaJetUSA's Papyrus 300 Textured Fine Art Paper offers photographers and artists a textured mould-made 100% cotton rag paper that is completely acid-free and has a matte finish that will assist greatly in fine art reproductions using pastel shades and colors. The paper is very heavy with a 300 gsm basis weight and a thickness of 22.8 mil, and it has an off-white coloration with a rated 87.5% whiteness. Additionally, it is pH neutral for longevity and is both fade and water resistant.